Obtenez ce transfert de bail pendant 21 mois pour des paiements mensuels équivalents U 586.41$/Mois +Tx apr s incitatif. Vous pourrez rouler 1,524 Km par mois. 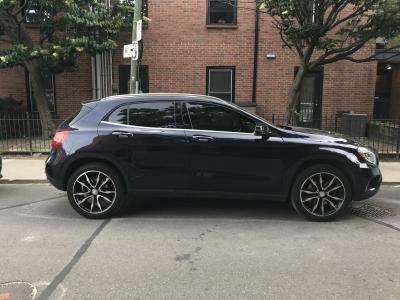 Mercedes GLA-Series 2017 Fermer la fentre. Take over this lease for 30 months for only $596.66 per month plus taxes with $0.00 total cash down. It currently has 13000 km’s and you can drive it up to 47703 km’s at no extra cost - which is equivalent to 12000 Free km\'s per year. 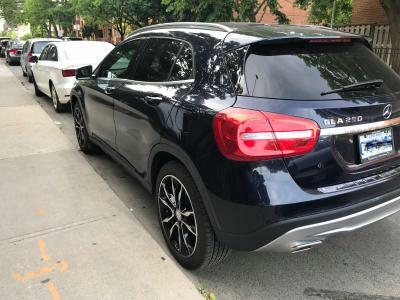 **ACTUAL PHOTOS** >>> Fully loaded 2017 Mercedes-Benz GLA 250 4MATIC in Cavansite Blue Metallic with Black ARTICO interior. 19\" 5 Twin Spoke Wheels $700. Has Premium Package $1600 and Premium Plus Package $2400. 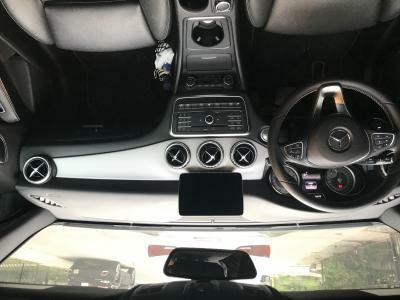 Panoramic Sunroof, COMAND Online Navigation w/ MB Apps, Apple CarPlay. Front windows are tinted to match the rear windows. 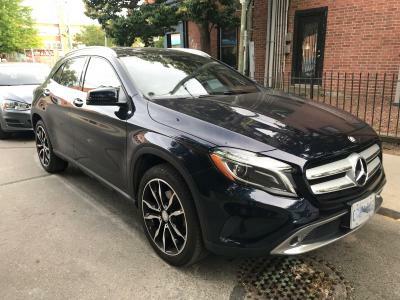 Lease also comes with Mercedes-Benz First Class Protection Plan, and has Tire and Rim Protection, Paintless Dent Repair, Windshield Protection, Key Protection and Interior and Exterior Protection for the entire duration of the lease period. The vehicle also has all maintenance included for the duration of the lease. All you have to do is pay the Mercedes-Benz $1200 lease takeover fee and the car is yours for the low monthly payment is $596.66 plus tax. Ready for delivery ASAP! !